The Flag House participates in reciprocal admission pass programs with both Time Travelers and the Greater Baltimore History Alliance. This program is an added benefit for individual members of participating Greater Baltimore History Alliance (GBHA) sites. Museum members who join one participating site at a level equivalent to $100 or above can enjoy free general admission when visiting other participating GBHA sites. No other benefits or discounts provided by the original membership site are valid at the other participating sites, aside from free general admission. The free general admission does not apply to “materials fees,” or additional cost for special programs. In order to receive the free admission benefit at a participating museum, the visitor must show the GBHA Reciprocal Membership Card and the original museum membership card. Visitors should also be prepared to show a picture ID. The Reciprocal Membership Card expires at the same time as the original museum membership. More information and details & restrictions about the Greater Baltimore History Alliance Reciprocal Admission Program can be found here. Time Travelers is a free reciprocal membership network for historical museums, sites, and societies throughout the United States. 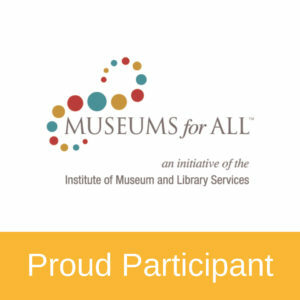 The Missouri Historical Society created the program in 1998 so that members of historical institutions could receive exclusive benefits and privileges at museums and historical sites nationwide. Currently, the Time Travelers program includes over 300 organizations in more than 40 states across the country. Members of these organizations can receive a variety of exclusive benefits and privileges, such as free admission, gift shop discounts, and much, much more. Time Travelers is a museum reciprocal program and if you are interested in receiving these benefits you must join one of the museums listed on this site.